Many of my friends have posted this image on Facebook. This strikingly profound art is the work of a sister from Our Lady of Mississippi Abbey. 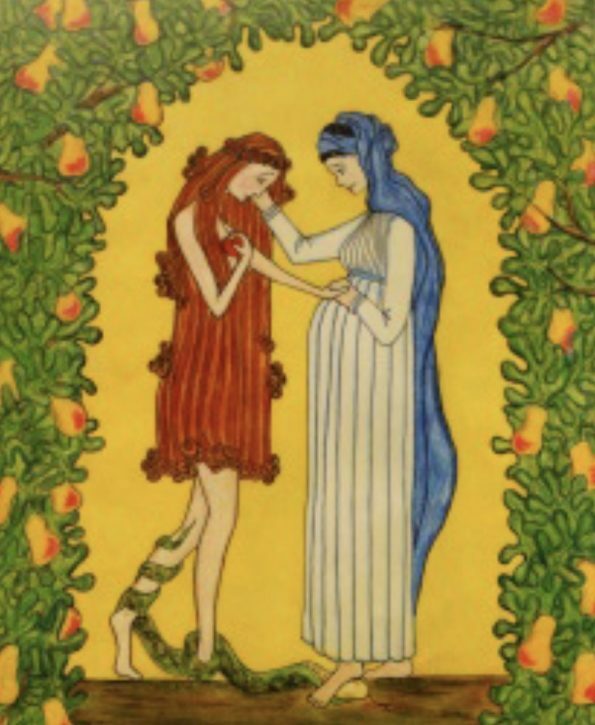 It depicts the origin in the fall of humanity brought forth through Eve and the redemption of Christ brought forth through Mary. What a wonderful visual of the redemption story. You can find the poem that goes with this image in Christmas cards here. Posted on December 5, 2018 by Nikol. This entry was posted in Great ADVENTure. Bookmark the permalink.